In order to improve conversion rates and limit the number of returns, ecommerce sites need to provide customers with as much information as possible about the products on offer. While this can be achieved through the use of copywriting, images and user reviews, videos are potentially the most effective way of demonstrating a product to the customer. I recently blogged six examples of retailers that used product videos to improve conversion rates, and we’ve also looked at best practice tips for product pages. 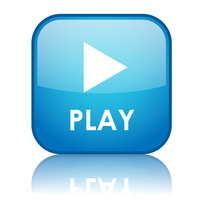 But the use of video isn’t limited to just displaying products. There are a number of different ways that ecommerce sites can use video to inform and educate their customers. Morrisons’ new Wine Cellar site uses a video survey to help shoppers identify what kind of wine they like. An actor reads out three multiple choice questions that the user answers within the video before being asked the next one. At the end of the survey you are given a numerical ‘Taste Rating’ and told what kind of wines you’re likely to enjoy. The survey can also be completed by answering a traditional on-screen questionnaire, but the use of an interactive video makes it a far more personal experience and is a great way of explaining the whole process to the customer. While most ecommerce videos specifically showcase a particular product, Advance Auto Parts has produced a number of video tutorials that eschew the normal sales patter in favour of educating the customer on various aspects of vehicle maintenance. For example, this video is one of a nine-part series that shows customers how to change a disc brake. Obviously the hope is that having watched the tutorial the viewer will buy all the necessary parts and equipment from Advance Auto Parts, but it’s a refreshing approach compared to the usual hard sell. By producing content that is genuinely of use to the customer Advance Auto Parts has differentiated itself from the competition and built a strong brand identity. And as a result, it found that visitors who watch video stay on the site twice as long and visit twice as many pages versus those who don’t see video. Ski retailer Simply Piste created an advice video that sits in the top left of the ski goggles product search page to help customers select the right style. It tells the customer why they need goggles, how to wear them and which style they should choose based on their face shape and preferences. At nine minutes it’s quite a long video, but as a result of the information the company has seen a reduction in phone calls about the products and returns have dropped by a third. As well as its interactive survey, Morrisons’ Wine Cellar uses videos on the product pages to inform customers about the specialities of each wine region. A large proportion of wine drinkers probably aren’t particularly well informed about the differences between regions (myself included), so these videos give a brief and informative look at the history of each country. Again, this is a great idea as it’s all about giving the customer as much information as possible to help them make a purchase, and it shows that Morrisons hasn’t just assumed that all customers have the same level of product knowledge. Simply Beach embeds videos on a number of its product pages, allowing customers to view a brief clip of a model doing a twirl in the item of clothing. It’s a simple but effective way of giving customers a full view of the clothes before they make a purchase. The company actually changed its videos last year from a catwalk style to a new HD static style in response to customer comments about not really being able to see the product in the older versions. This change has resulted in a 20% increase in conversion rate and 5% reduction in returns with products featuring the newer style. Zappos uses its own staff in product videos and has found that sales increased by between 6% and 30% for items that included product demos. By using ‘real people’ rather than actors, it makes it feel less like a sales pitch and more like you’re getting a recommendation from a friend. Even so, the videos include useful product information and help answer any questions that the shopper might have about the product. This takes more time and effort than a standard video, such as the Simply Beach example, but will probably reap more rewards in terms of sales. Simply Hike has produced more than 2,000 product videos on its YouTube channel, including this one demonstrating a new tent. Admittedly it’s essentially the same use as the Zappos example, but shows that regardless of the product category video can be used to give provide the customer with a huge amount of information by allowing them to actually see the product in action. Simply Scuba has recently begun trialling aftersales videos that are emailed to the customer after their items have been dispatched. It was created in response to customer complaints that scuba masks leak underwater, which is caused by the fact that they hadn’t tested that the mask fits correctly before going diving. In the past Simply Scuba took the products back out of good will, but lost out as it was left with used masks that couldn’t be resold. The video informs the customer of the company’s returns policy and shows them how to test that the product fits correctly without getting it wet. Simply Scuba has only been using the video for three weeks so it’s too early to tell if it’s had an impact on returns, but it’s a great example of an online business using video to try and combat a common cause of returns. A new report into the use of social media among the UK’s top 50 tech companies has found that while usage has increased since 2011, engagement levels have actually fallen. EML Wildfire’s study found that LinkedIn proved to be the most popular social network, with 98% of companies in the study having registered an account, compared to 82% on Twitter and 68% on Facebook. Interestingly, Facebook usage has actually dropped slightly from 70% in 2011 and would have fallen further had it not been for B2B businesses. In the 2010 and 2011 reports 100% of B2C companies used Facebook, however this fell to 83% in 2012, while B2B usage increased from 32% in 2010 to 65% this year. It’s not exactly new, but you probably encountered far more sites with infinite scrolling functionality in 2012 than you did in 2011, and there’s a good chance you’ll come across even more in 2013. With popular services like Twitter and Pinterest bringing infinite scrolling into the mainstream, it’s no surprise that more and more designers and publishers are considering doing away with old school pagination. But is infinite scrolling a good trend or will it soon become a design worst practice? As we’ve been off for a few weeks I’ve rounded up some of the best infographics that we’ve seen from the past fortnight. The topics include festive insights for retailers, Facebook’s mobile advertising performance, content marketing and real-time bidding.